Epiroc have now released a new grease, Epiroc Bio Chisel Paste, for use in environmentally sensitive applications such as underwater, metallurgical applications and sensitive mining, quarry or construction sites including tunnelling. at high temperatures. Without adequate greasing, the parts suffer accelerated wear, thereby increasing the cost of operation. 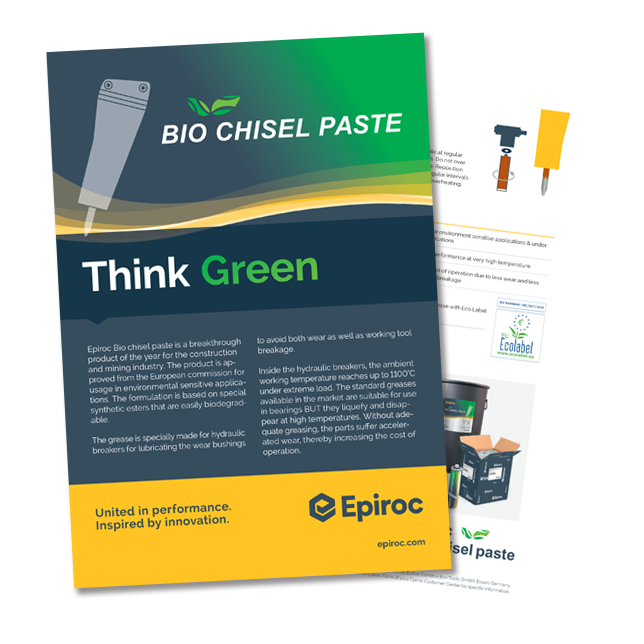 It is a new formula and is the only chisel paste on the market with EU Ecolabel certification. To read more about the benefits of using this new bio chisel paste, click here.